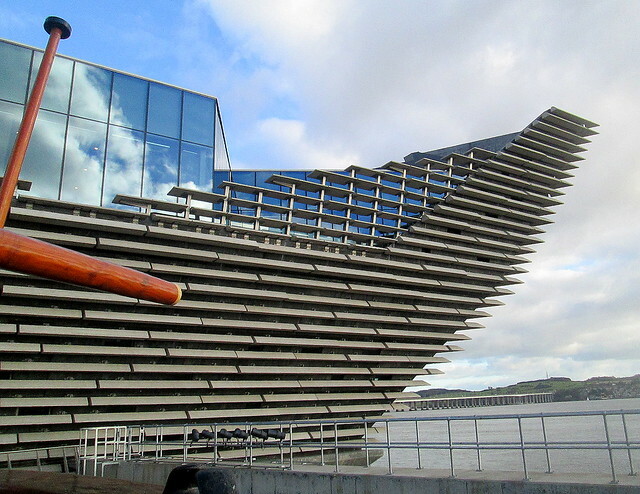 The new branch of the V&A Museum in Dundee, a museum of Scottish design and its impact on and from the world, opened to visitors today. 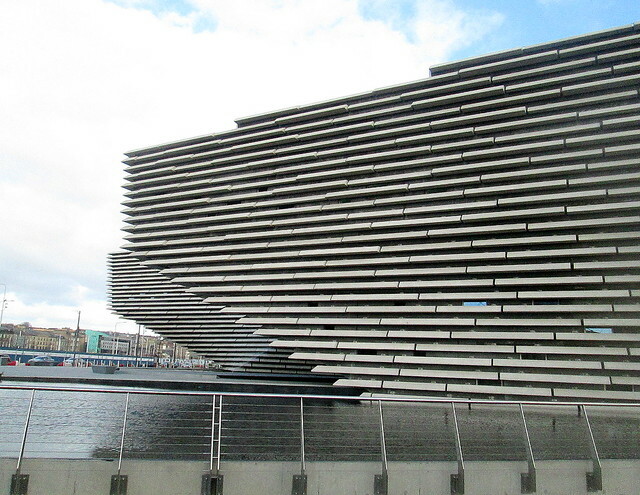 As we quite often visit or pass through Dundee this is a building I have seen growing from the waterfront over the past few years and it is a splendid piece of architecture. It lies beside Discovery Point, latest (and last?) 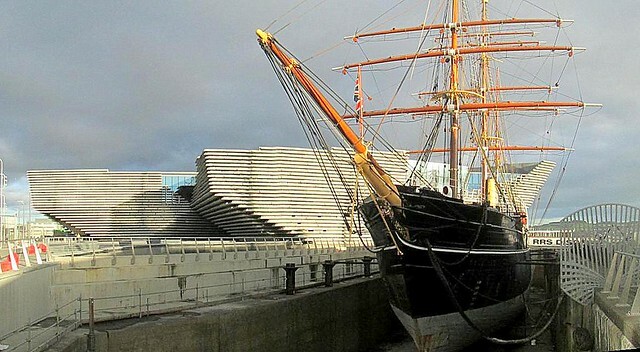 home of Scott’s and Shackleton’s research ship the RRS Discovery. 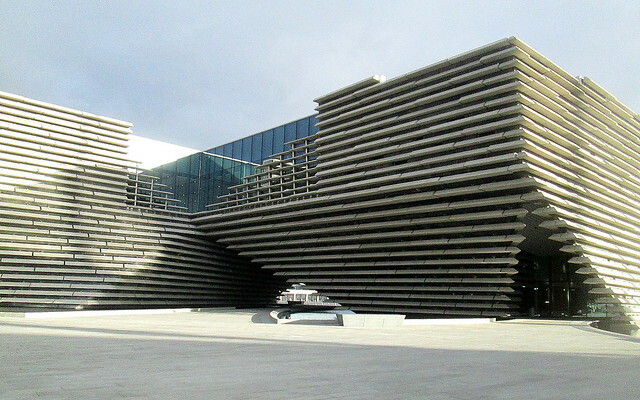 There are hopes the V&A will do for Dundee in terms of tourism and raising the city’s profile what the Guggenheim did for Bilbao. It’s exciting to think I’ll be able to visit it soon. We’re not going straight away as we expect it will be fairly busy. I believe entrance has to be booked for the first few weeks. 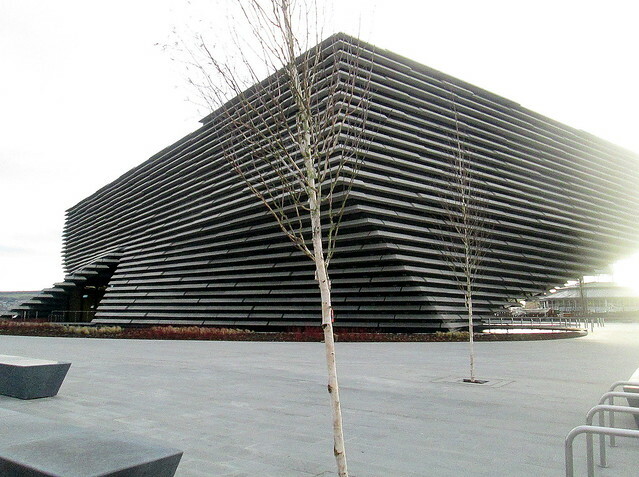 These photos were taken in February when the building was pretty well completed on the outside. 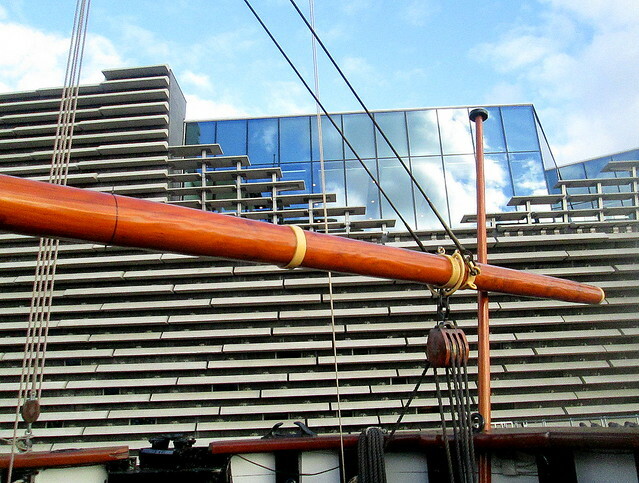 We had been round the Discovery – itself well worth a visit – and the opportunity to take the photographs couldn’t be missed. The inside exhibits promise to be as distinctive as the outside.